LG G8 Launch at MWC Not Exciting Enough? Would the V50 With 5G Change Your Mind? On February 24, LG is expected to announced the G8 ThinQ smartphone. We’ve seen two supposed device renders for the G8 ThinQ, and if we’re being honest, the hardware has left us wanting. Interestingly, a new report from ETNews states that the G8 may not be the only device LG unveils at MWC. In a major step away from the norm, it’s being reported that the company will also announce the V50, complete with 5G connectivity. 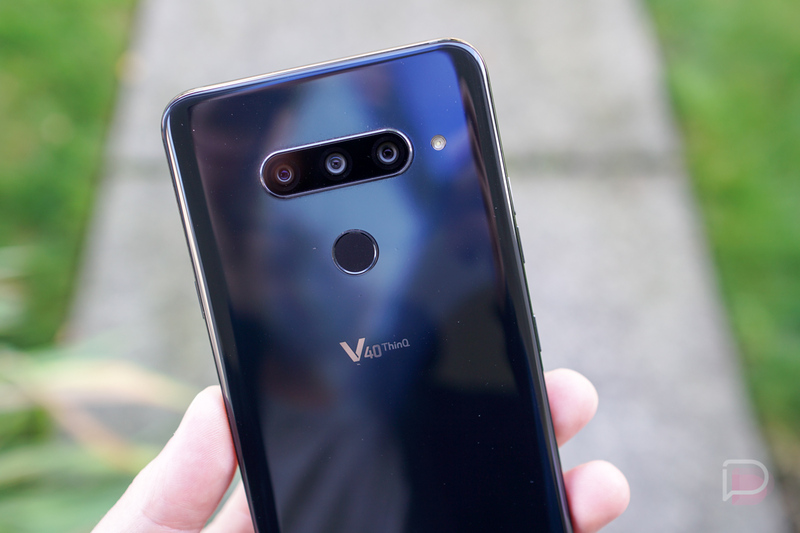 For those who keep track, the LG V40 was launched last fall, October to be exact. In what’s likely a move to keep up with Samsung, who is also on record to release a 5G device this year, LG may push up the launch of the V50 with a 5G modem to MWC in order to not fall too behind the hype. And with a push up to MWC, it’s said in the same report that the phone will be available in North America sometime in March, which aligns with the previous announcement from Sprint that said it would launch the first 5G phone with LG in early 2019. A move like this is textbook LG. It always seems that when Samsung is on the verge of announcing an industry first, such as a 5G device or curved smartphone display, or first QHD display, LG comes in right before them and steals a bit of their thunder. We’re fine with this because competition drives innovation. However, for LG to announce the G8 with no 5G at MWC, then also announce the V50 with 5G, we’re thinking it might be difficult for LG to sell the G8. It’s like shooting yourself in the foot, and at a time when LG device sales appear to be struggling, that doesn’t seem like a smart move. What’s the rush to 5G anyway? What we know about 5G already has us worried. We know it’s going to make phones cost more, early iterations of it won’t really deliver the crazy speeds that industry marketers have been teasing us for years with, and again, it’s causing the biggest jump in smartphone pricing we’ve ever seen. I’m a firm believer that 5G is one of the technologies you won’t want to be an early adopter of. Regardless, MWC is only a few weeks away at this point. We’ll see what LG has in store for us all. Which Wear OS Watch Should You Buy?